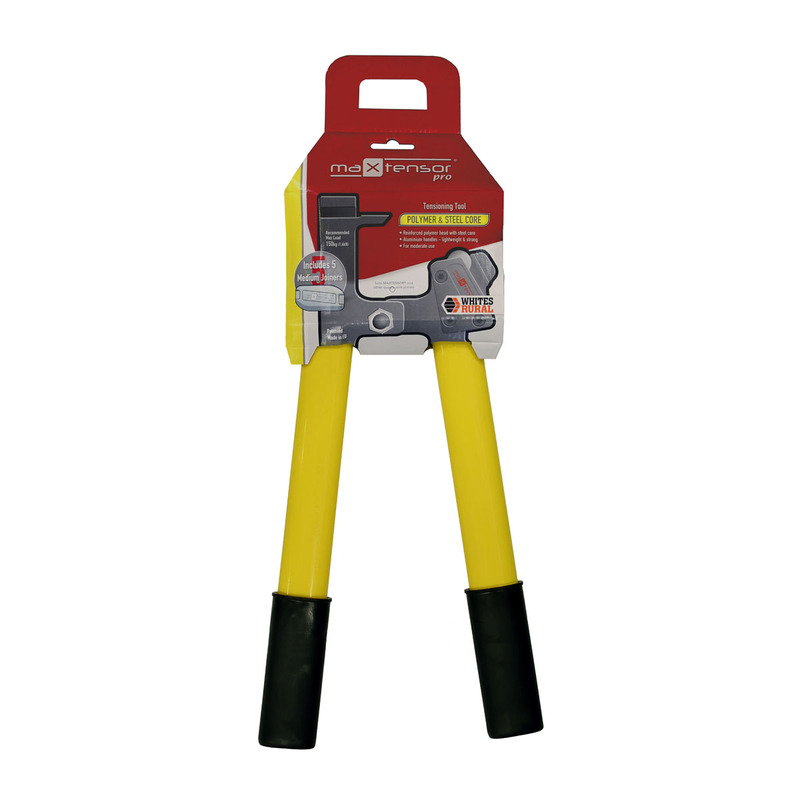 The MaxTensor range of tensioning tools are designed to make it easy to tension and strain fences with professional results. Each tool is supplied with five (5) bonus medium MaxTensor joiners. Click to see the MaxTensor Joiner range. Click to see the MaxTensor Terminators. Click to view our Max Tensor video, or for more information download our MaxTensor brochure here.